Learn about the practices and procedures in cash flow accounting. Cash accounting is a very important basic accounting concept and anybody who works with accounts should have a thorough knowledge and understanding of it. Cash accounting is a method of managing revenue and expenditure to track outgoings and incomings to a business or organisation - receipts are recorded during the period they are received, and the expenses in the period in which they are actually paid. In this accounting course, you will be introduced to the practices and procedures of how cash accounting is done with income statements, cash flow statements and balance sheets. You will also learn how balance sheets have a relationship with the income statement that reflects actual revenue earned in a period of time. 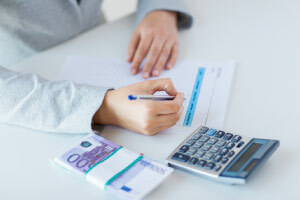 This accounting course will be of great interest to any professional who is involved with basic accounting practices in a business or organisation and who wants to learn more about cash accounting methods, and to any learner who would like a better knowledge and understanding of how cash transactions are managed within businesses. Learn how reconcile a cash flow statement.